Soft and delicate, this arrangement is made to capture your heart. 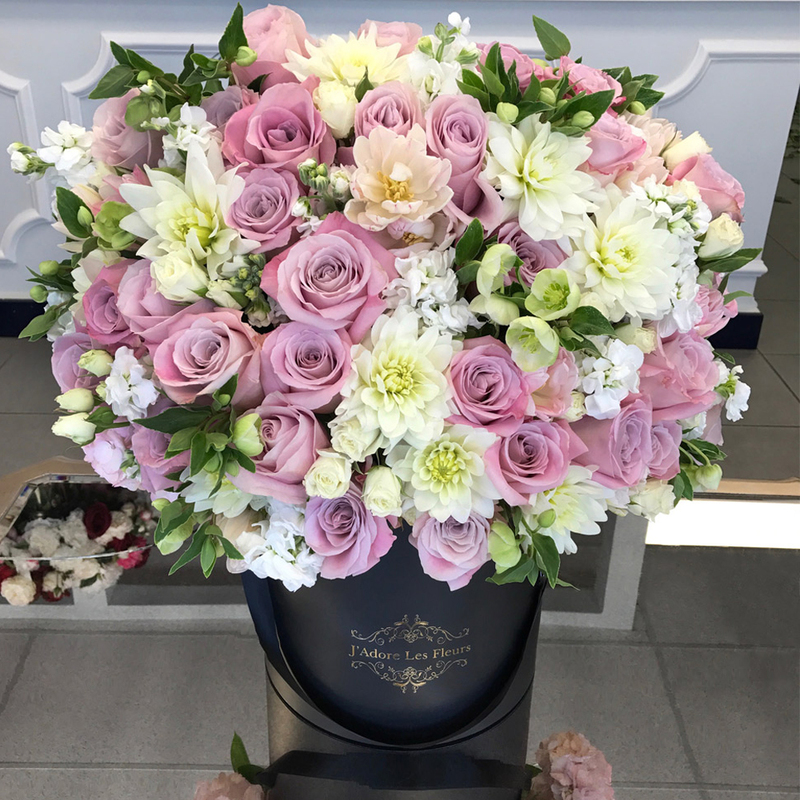 It consists of beautiful blush pink roses, crisp white dahlias, white stock, lisianthus, spray roses and green hellebores. The arrangement in the photo is in our Medium size box.